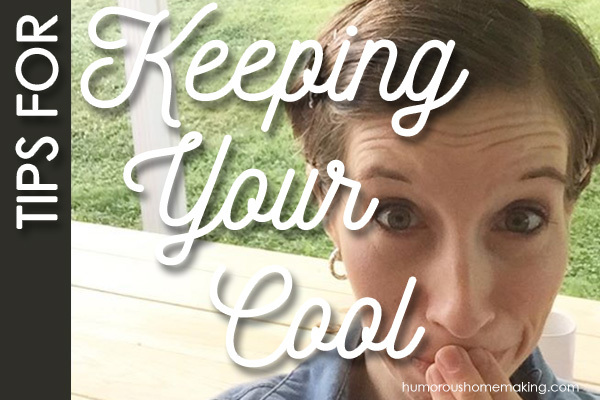 When we were doing the Watch Your Mouth Challenge, I got asked questions about for tips for keeping your cool. I want to be completely honest – I have a hot head, a short fuse, and a quick temper. The Lord is always working on me, y’all! I’m not in any way trying to act like I am an expert that knows what I’m doing here. But I am going to share what I know and have learned about myself. In my own personal life, there are two things that set me off… or should I say the LACK of two things sets me off! 1. Food… because hangry is a thing, y’all. What do I mean? Basically, it is extremely hard for me to keep my cool if I am hungry. Usually if I’ve been frustrated by and with everybody, I might just need to get something to eat! Sometimes a girl just needs a snack! I never have a shorter fuse than when I need to eat something. 2. Momma needs her sleep. If I am tired or sleepy one day, I know that I need to make adjustments to get me through it. I know that I won’t be able to be my best self with my children and my spouse if I am dragging. I might need to take an energy boost like Vitamin B or a quick shot of Ningxia Red. Or y’all – hold on to your britches – I might even just need to go to take a nap. Yes, sometimes naps are the best medicine for what ails you! 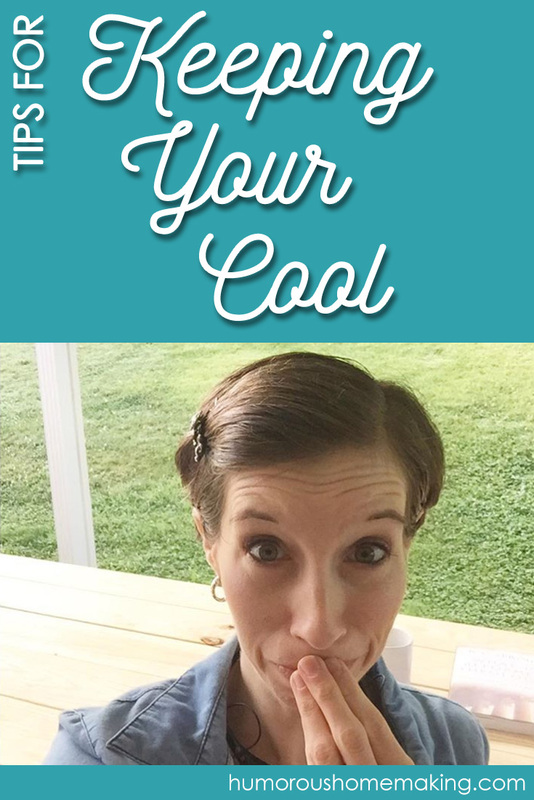 Another little tip for keeping your cool… learn to offer PRAISE instead of criticism. If I find myself getting into an anger rut, I have learned that wearing a different pice of jewelry – like a chunky bracelet or a long necklace – it can help remind me to say nice words to my husband and kids. Having something that grabs my attention periodically and making the mental connection to offer my children kindness and praise makes a LOT of difference! And let me just say that it’s WAY easier to keep your cool when you are being kind to and praising your children and spouse. I do not praise my children enough for the good things they do. I tend to fall into the category of forgetting to tell them thank you for the good things they do! They need to hear more good from Mommy than they do bad. I also saw a mom on Pinterest who wore rubber bands around her wrist. Every time she praised her children or spouse, she moved a rubber band from her right arm to her left. It was her goal to get all of the rubber bands from her right arm to the left arm before she went to bed. She met this goal by saying as many nice things as possible during the day. She successfully trained herself to speak kindly to her family with this approach. Every time you think you’re going to mouth off, say something nice instead! But these are just a few of my thoughts, if you want to start this new habit of kindness, you have to come up with something that will remind YOU to establish this new behavior. If you want a reminder about keeping your cool, it has to be something that will move and inspire you. Maybe you need a reminder on your phone every two hours. I know it sounds ridiculous, but we’re so busy in this day and age! It’s okay to remind yourself to do something nice! Any time you decide to start something new you HAVE to establish the new habit and routine if you want to keep up with it. BONUS tip… well, sometimes Mommy just needs to give herself a time-out. Y’all time-outs may not mean anything to my kids, but they sure do work for me! Sometimes all I need to do get a new attitude is to go to my room and shut the door for five minutes. My kids know that if I leave the kitchen and go take a time-out in my room – I just need to be left alone. I usually just sit on the floor and close my eyes to regroup. I don’t go in there to pray, I’m not that super-holy. The first few minutes are me trying to lower my blood pressure and calm down. I do usually pray before I leave, but first I need to bring myself down a notch! Here’s the thing I’ve found. Keeping your cool means developing habits that break the cycle of anger. Look for what triggers you, sets you on the path of losing your cool, and keep an eye out for it. Then, do things that counter that bad behavior. In theory, it is really simple. But as we all know, simple doesn’t mean easy. What are some of the triggers in your life and what tips do y’all have for keeping your cool? What a great idea! I’m going to start giving myself timeouts. Hahaha now to figure out how to get the toddler not to follow me into time out. LOL! If you figure this out, please share! Thanks for your comment, Rose. Yes! We need to be marked by positivity! It’s easy as a mom to see all the things that need to be fixed and say negative things. Thank you for the reminder! Exactly – I love that – marked by positivity 🙂 Thanks for the comment!